Welcome to the wonderful world of Viking sewing machines! Sewing is a dream-come-true with the smooth and easy operation of a Viking. Join us and learn more about the special features that make your Viking Sewing machine special. 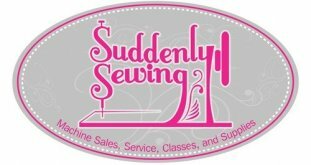 This is a sewing only class, not embroidery. Join your fellow Viking owners, learn new techniques! Free if you purchased your Viking Sewing Machine from us. $45.00 if purchased elsewhere. Kit fee purchase required the day of class. Class is free if you purchased your machine from us. Kit Fee purchase is required the day of class. Free if you purchased your Viking sewing machine from us. Kit Fee Purchase required the day of class.